Let us never forget that Alabama has a long violent history with cults. The case of Seventh-Day Adventist Robert Sims in Choctaw County is an excellent example. Robert "Bob" Sims was a Confederate War veteran, farmer, and preacher who defied the federal government over taxes on his church during the late nineteenth century. Authorities and Sims's followers clashed in what became known as the Sims War before he was caught and hanged in December 1891. CHECK OUT THE NEW HEEEY BABY DAYS OF BEACH MUSIC BLOG!!!! Here are the pictures of Wilbur Walton I took at Jack's multi-class reunion. The band was great! Wilbur sang his song "Georgia Pines". He sounded great! I REALLY enjoyed meeting you on Saturday and I look forward to seeing you again! THE GOOD LORD UP ABOVE! I used to think that the most impressive animals in Alabama were river otters or porpoises. My encounters with those creatures convinced me we shared a powerful intelligence. Forget about the gators, rattlers, moccasins & copperheads. I've swam with every one of 'em and they are some cold blooded shits. Just like a shark or a ray. No sense at all. All impressive critters but totally hard wired with an instinct for devilment. 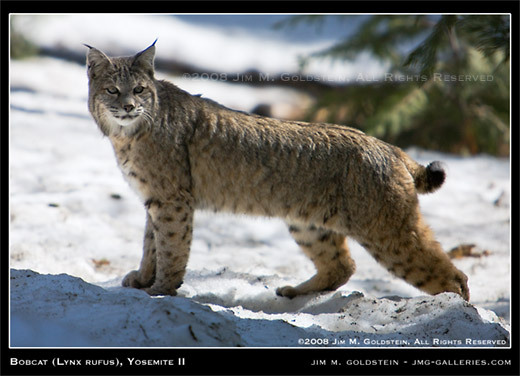 I'd had maybe four encounters with bobcats in my whole life. It was always quiet and fast. That changed Saturday while I was driving through a swamp in Lowndes County. The oaks and other trees on the road were covered with Spanish moss and formed a canopy which shaded the road as I drove through the hollow. About a hundred yards ahead I noticed a dog about the size of a small hound trotting toward me down the middle of the ditch on my side of the road. There were no cars so I braked immediately. As I slowed my "hound" climbed up the ditch and looked straight at me with the tufts of fur on its short ears and cheeks. It was the closest I'd ever come to a bobcat. I was about to stop when the cat trotted in front of my truck and slowly ambled down a cleared power line right of way. You know we're gettin' to be a nation of tree huggers when bobcats get tamed up in Alabama! The dance Friday night was SUPERB! We rocked didn't we baby!!!! The DHS Class of '61, '62, '63 & '64 at the Dothan Conference Center were dah BOMB! William, Jimmy & Larry- GIT ME SOME IMAGES! It was MOUNTAIN OF LOVE & EVERYDAY I HAVE TO CRY SOME from Dothan High's THE STRANGERS! With Wilbur closing the show with GEORGIA PINES! So many John Rainey stories. John Rainey's teaching enabled his fellow students to win the John Phillip Sousa Award. FREE AT LAST! GREAT GOD ALMIGHTY I'M FREE AT LAST! I was discharged from the Long Term Acute Care wing at Southeast Alabama Medical Center in Dothan about noon 11/19. this turmoil. I thank God for her. Please tell everyone how much I appreciate their prayers and the get well cards they sent. You are doing an incredible job of promoting THE DAY BEAR BRYANT DIED on the web. I was reading your blog entry wherein you mentioned “Logan’s Steakhouse”. Back in the early 70’s I was in a blues band before I went to work for Norman Andrews & The Bubble. One of the guitar players was a little kid from Dothan Named Lindsey Williams. He was about 130 lbs wet and had pretty blonde hair that most girls would die for, hanging to his waist in the back. His dad had moved them to Dothan from Huntsville to build the first Lowe’s warehouse. Laura Scott-Adkins lived down the street and drove him to school there in Dothan. Well right after graduation he jined up with me and a couple of other guys and we backed up Wilbur for some gigs around Auburn, (slips in a subtle “War Damn Eagle” here.. ) that Robin Rainer and Tom Freeman had booked for us. Well it cruised for a little while before it broke down and scattered. A year or so later Lindsey, Randy Harper, Devon Patrick (Outer Mongolian Herd), Billy Jones, and I got together and ran around the Southeast in a blues group called Shagnasty. I eventually left that band and went to work for Norman. Shagnasty played on for a couple of yrs before it broke down. Lindsey went to Nashville where he got hooked up with Gaylord Entertainment (CMT) and ran around pickin for Dobie Grey, Brenda Lee and others. Eventually he emerged with his own production company called Big Bison Productions. He has done commercials for some heavy hitters such as Captain D’s, FEMA Flood Insurance program, Jiffy Lube, Tylenol, and a few others. One of the more recent he did was for Logan’s Steakhouse. That is him playin that badass slide guitar on that commercial, and the guitar work on the rest. Lately he is doing a project writing and contributing music for a Blues Library there in Nashville. I asked the church, "Let's pray specifically for that," and the whole town said we weren't going to get it because Rose and Hank had it and so we got it. So God shows because let me tell you something...let me tell you about the Minter's house. The Minter house, the house that we live in, the Minters, their street, Joanne lives on Minter Avenue I think. The Minters, uh, six generations back, before that and a little after that, I mean, they were slave owners. They had... their big farm it's now, before that they were cotton plantation owners and a lot of people that work for them now are the ancestors of the slaves that worked for them. You got that and that's what Annie was doing, see. Annie was like their house maid. Her sister was too and they paid her $300 a week. And when they said to come in, she had to come in. She had to come in at 8 o'clock in the morning and when they were moving, when they were packing up, she worked until 10:30 or 11:00 o'clock at night. She still got $300. Yeah, she didn't smile. She couldn't be herself and it was nothing but slavery during that period of time, O.K. That's why I was telling that story. She...she quit. She quit. We came into town and we moved in and that Monday, the first Monday of the week and she called over there and the Grandmother had called, see. She's the racist of them all. She said about working for these people and why would you...and you're going to quit on us and all this we've done for you and all that and she just stood up. "I'm not going to work for y'all any longer. I'm working for these people and I'm going to do my ministry. What I've always wanted to do, you know, so, uh, so she handled that but like so there's some things like that that that that people in in Selma are getting free. They're getting free. Joanne's getting free. She's going to quit the museum. She's getting free. See she does it. See she knows she's working for the Devil. You continue working for the Devil- you can't stay and he's got his foot on your head and he's beating you up and you're trying to do good. You're not going to stay. You're just not going to stay. Not long term. All right. What else did you have for me? You know what. She's got some hope. What Annie said- she said, "Aw,I'll eat dirt. I ain't going to work for them." and that's the kind of fight I want in The Army. That's why, ya know, she stayed there and I'd go off and meet this pastor and her (unintelligible) would be at home. Broom in one hand and she'd sit there on that couch and they'd hold hands and they'd pray. Be with Mark during the meeting and she would pray and I said, "I don't care what you clean. I want you to pray. I want you to exhort me in the Lord." She could do that, y'all know, she could do that and she's got some wisdom but in her personal life, a lot of things lacking that she, that she needs but she's got a certain faith toward God and we just activated that and she's standing. God's bringing her through some things. She's a fighter, too. She's a fighter, too. So, you know what, somehow we gonna come up with $1200 a month, you know, between us and Meredith and Jason (unintelligible) and she can watch the kids but more than anything I needed her in the ministry to be on the team and that, that's a small price to pay for what we get in the battlefield with her. And it's nice to see when I come home, laying on the couch, taking a nap. I came home with a cold the other day and she came right in and said, "Let me get you some tea." She was taking care of me, you know. Now she's started to smile and the other night, Friday night. We were gone and she's in there. Her and Brittany playing Slap Ball and she was laughing. We created a little game we play on the floor with a ball, you know. Matt, Matt and Gwen ... so they're in there playing on the floor and just living...just trying to live. She's got her life back. Lives in a little trailer on the other side of town but you watch what God does with her. That's the people that God's going to rally. Grassroots movement, you know.